A full-service law firm with the personal touch. Their friendly staff aim to provide concise advice without the legal jargon. Able to deal with a broad range of transactions for both private individuals and business clients. Conveniently located near to the city centre with an accessible office and on-site parking. Warwick Vesey Solicitors specialise in criminal law, immigration, and property matters. Although based in Birmingham their dedicated team of lawyers and caseworkers can work nationwide either on a private or legal aid basis. Every case whether big or small receives the same level of commitment, with a free 1-hour consultation to help you weigh your options before proceeding. Police station interview attendance is also free. Established in 2003 and recognised as one of the country's leading immigration law firms, TRP Solicitors specialise in all aspects of immigration law - including applications and appeals for extensions of leave to remain, entry clearance, nationality, commercial and PBS applications. Savants is a nationwide advisory firm specialising in people with financial issues such as Business Insolvency, Personal Bankruptcy, Debt Recovery and more. Their licensed Insolvency Practitioner is highly experienced in implementing formal insolvency procedures if needed. [snippet ...] The city is a major international commercial centre, ranked as a beta− world city by the Globalization and World Cities Research Network; and an important transport, retail, events and conference hub. 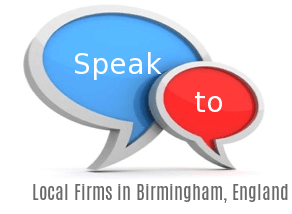 Today Birmingham's economy is dominated by the service sector. By 1791 it was being hailed as "the first manufacturing town in the world".